FOIMan highlights some upcoming events he’ll be speaking at. Freedom of Information in Practice: this Wednesday (17th April 2019) at 12.30pm I’ll be delivering a webinar for CILIP (the Library Association) which is open to anyone. We’ll be looking at the practical aspects of FOIA compliance: logging and tracking requests, training, establishing an internal network of helpers and so on. Details of how to book to attend can be found here on the CILIP website. Effective Records and Information Management: I’ll be leading a day exploring the features of a records and information management programme for Understanding ModernGov on 24 April 2019. A programme and details of how to book can be found here on the Understanding ModernGov website. Raiders of the Lost Archivist – the Quest for Compliance in the Netflix Era: join myself and Alison Drew as we discover the impossibility of escaping information governance, data protection, record management and freedom of information on a night in with the telly. If you’re attending the Information and Records Management Society (IRMS) conference at Celtic Manor between 19th and 21st May 2019, you’ll be able to hear what Bond, Indiana Jones, Bodyguard and a ton of sci-fi can tell us about the growing relevance of these issues in the modern world. You can find details of the IRMS conference and how to attend here. Records Management and FOI: I’ll be making a return to the IRMS’s Public Sector Group on 12 July 2019 to discuss how records management does (and sometimes doesn’t) help with FOI compliance. IRMS members have priority for bookings. Details will be available in due course here on the Public Sector Group part of the IRMS website. Complying with Data Subject Access Requests: a full-day course on handling subject access requests under data protection laws provided by Understanding ModernGov, and taking place on 17 July 2019. Full details here on the ModernGov website. Watch out for details of more events as they are announced. FOIMan explains how GDPR puts keeping records well at its very centre. Back in December, the Information Commissioner, Elizabeth Denham, indicated her wish for a new duty to document law. I’ve written previously about this here and here. On 28 April, I explored this issue a bit further in a talk to the public sector group of the Information and Records Management Society (IRMS) at a venue in Westminster. I’d been asked to talk about the need to keep records for corporate requirements identified in the FOI s46 Code of Practice. The s46 Code does spell out the need to keep records to meet legal requirements, to record precedent, to document legal and other rights, and to justify actions taken. It’s worth noting that s.48 of FOIA gives the Information Commissioner the power to issue “practice recommendations” requiring public authorities to bring their practice into line with the Codes of Practice. So the s46 Code establishes a duty to document and the Act gives the Commissioner (admittedly limited) powers to enforce it. Leaving FOI behind though, I handed delegates postcards of the image above. It illustrates the data protection principles as set out in the General Data Protection Regulation (GDPR). Right at the centre of my image is the accountability principle. It means that organisations will not be able to comply with the other principles without being able to demonstrate their compliance. In other words, they need to keep records to show what they are doing with people’s personal data. What they told those people when it was collected. Whether they gave consent. What their data protection impact assessment concluded. And so on. Keeping records – and keeping them well – is central to compliance with GDPR. Records management should form a central plank of your GDPR preparations over the next year. Not least because it is very clear that the Information Commissioner is very interested in records management indeed. Let me know if you need a speaker for your event – I’m always happy to help if I can. If you’re looking for in-house training on GDPR, get in touch for a quote. FOIMan tells civil servants that FOI practitioners deserve credit for FOI’s success over the last ten years. 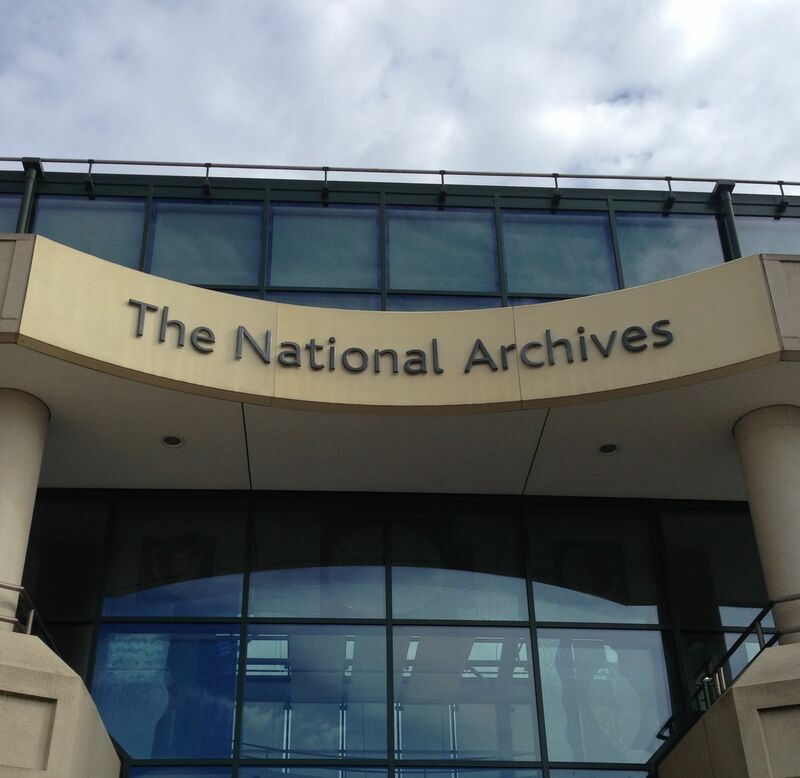 Earlier today I was pleased to speak at an event organised by the UK National Archives in Kew, south-west London, for central government information managers. The topic of my talk was “Ten years of FOI: what makes FOI effective?”. The pedantic amongst you may point out that FOI is actually almost 14 years old, but of course the 10 years refers to the commencement date of the right of access to information which was 1 January 2005. I decided not to give a potted history of FOI (partly because I knew that the following speakers, Dr Ben Worthy and Maurice Frankel, would do a much better job), but instead chose a number of anecdotes from my time as an FOI Officer. Some of them I’ve referred to here before. They included requests for information about the Olympics which caused angst for LOCOG and the IOC; a surprising request for correspondence about pandas; and perhaps the most surreal experience of my career – sitting in a room in Buckingham Palace discussing an FOI request whilst bear-skinned guards marched past performing popular tunes for crowds of tourists. A key theme of my address was the difficulties that FOI officers have encountered over the last decade – and how they have successfully risen to them. The ever increasing volume of requests has been well documented, but those coordinating FOI activities in public bodies have also had to champion the legislation’s requirements often in the face of opposition from colleagues and those in high places. One audience member was keen to point out that senior officials’ views are often helpful in identifying sensitive information, and of course this is true. But nonetheless it often falls to relatively junior FOI officers to explain that it will not be possible to deny access to that material. And the reaction to unwanted advice has on occasions been to shoot the messenger. But despite these difficulties, FOI has changed the culture of government departments and public bodies. Although we hear many examples of responses being delayed and documents being withheld unreasonably, vast amounts of information have reached daylight. In some cases surprisingly so, especially given attitudes back in late 2004. There are lots of reasons that can be put forward for this, but I believe that a really significant one has been the growing professionalism, experience and knowledge of those who are answering the requests. They display integrity in their management of FOI requirements. They haven’t just accepted the status quo; they’ve helped push the transparency agenda, even when it made their jobs difficult. Even the relentless rise of requests is a positive sign – people recognise that FOI can and does work, otherwise they wouldn’t bother. FOI officers have helped FOI to make a difference. They have made FOI effective. Thanks to the National Archives team for organising a really interesting and successful event, and for asking me to speak. FOI Man talks about his course on Practical FOI, calling FOI Officers to arms and other developments. First off – an apology. I like to provide something new here every week if I can, but lately that just hasn’t been possible. But I haven’t been neglecting the world of FOI. So what have I been up to? Well, for one thing, I’ve been following avidly the exploits of the Justice Committee. As others have noted, the SaveFOI campaign attempted to get me in front of the Committee but to no avail. Still, at least they have my written evidence. I haven’t had time to write a review of the post-legislative scrutiny evidence as yet, but the questioning of some members of the Committee appeared to suggest that a recommendation to charge for FOI requests is a distinct possibility. If you, like me, think that would be a most unwelcome step, you can register your disapproval, if you haven’t already done so, by signing the SaveFOI e-petition. And do keep checking the SaveFOI website – it is regularly updated with new blog posts and other material of interest to anyone who follows FOI developments (even if you don’t wholly subscribe to SaveFOI’s view of things). But most of my time has been taken up as a result of a number of very kind invitations to speak at events. In April, the UCL Constitution Unit asked me to say a few words on my experience and views of FOI in higher education at a seminar they organised to discuss the results of their own research. You can see my slides, together with the initial findings of the Unit’s research, on their website if you’re interested (in the ‘Outputs’ section). Last week, alongside such luminaries of the FOI world as Tim Pitt-Payne (Barrister with 11KBW and writer at Panopticon), Tom Steinberg (the man behind WhatDoTheyKnow.com and member of the Government’s Transparency Board) and Jonathan Baines (of Buckinghamshire County Council and Information Rights and Wrongs fame), I spoke at PDP’s annual FOI Conference. My theme was the role of FOI Officers in promoting FOI within their organisations. After all, if we don’t, who will? Next month, on 18 June, I’ll be talking on the same issue at a seminar organised by the National Association of Data Protection and FOI Officers (NADPO). See their website for more details. And last but not least, the highly persuasive Mr Ibrahim Hasan, of Act Now Training, asked me to develop and present a training course called Practical FOI. Practical FOI is basically a one-day course on “How to be an FOI Officer”! I’ll explain how to build up expertise in FOI, using available resources. I’ll strip back records management to take away the fear. We’ll look at what methods work best for logging and monitoring FOI requests. And how do you deal with senior managers who don’t see the point of this FOI-nonsense? It’s all about the nuts and bolts of making FOI work for your organisation. If you’re interested in my Practical FOI course, it will be running on 11 June and 16 November in London, and 22 June and 26 October in Manchester. Further details are available from Act Now Training. And if you’re one of the few people interested in FOI in the UK who hasn’t seen me speak by the end of this summer, don’t despair! I’ll be back to regular blogging right here very soon.